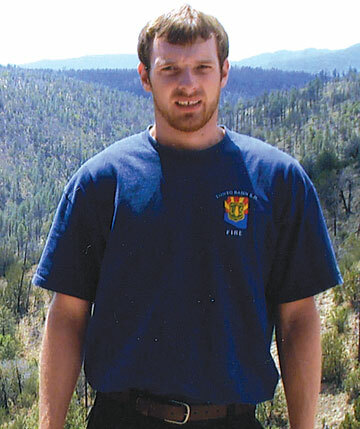 Noah Melhorn, 21, is a wildland firefighter battling blazes most recently in Arizona. But for most of his life, he fought a different type of battle with the help of his mother, Terri Fierstine. Diagnosed with dyslexia and learning disabilities when he was in fourth grade, Noah struggled to read. When special education services during the school year didn’t help him progress, Terri sought additional tutoring help in the summer. She was eventually able to secure payment for the service through the school district her son attended at that time. “Through perseverance, many meetings with teachers, numerous IEPs, phone calls, e-mails, and summer tutoring, Noah caught up in high school,” Terri says. In fact, Noah was on the honor roll throughout high school and received numerous scholarships when he graduated in 2006. After graduating from a wildland firefighting program at Itasca Community College in Grand Rapids, Minn., Noah found work fighting fires in Arizona and loves the challenging job, says Terri, a mother of four. Through the toughest school years, Terri and Noah just kept trying. “Noah always kept everything positive,” she says. “He taught me a lot. He taught me to take breaks. When things were too hard, we would shut the book and come back to it later.” Though they took breaks, Terri and Noah didn’t let discouragement keep them from pressing forward.